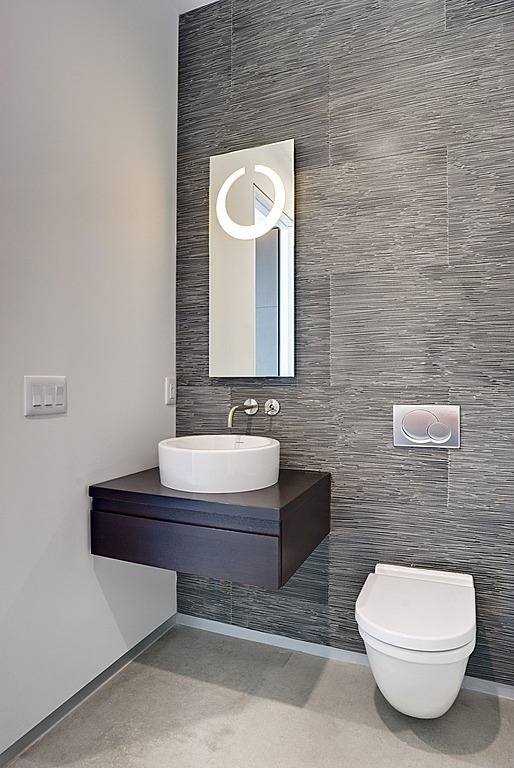 One of the first questions facing most aspiring home builders is whether to work with an architect to custom build their house project or to build a cookie cutter design by a high volume builder. Both options can provide excellent results. I think the decision really comes down to the level of input, time and engagement you want to put into the design and construction process and to a large degree the choice is often based on the budget. For our own build, we would have chosen to go down the custom route but realised early on that our money would stretch a lot further with a volume builder than a bespoke builder. We may not have a one-of-a-kind Metricon Hudson but I don’t feel that we’ve compromised on our ability to personalize the home to our taste. If anything, I feel that it’s been a good collaboration between us and our builder and most of the changes we wanted made from standard were readily accommodated. You can read more about our modifications in this post. 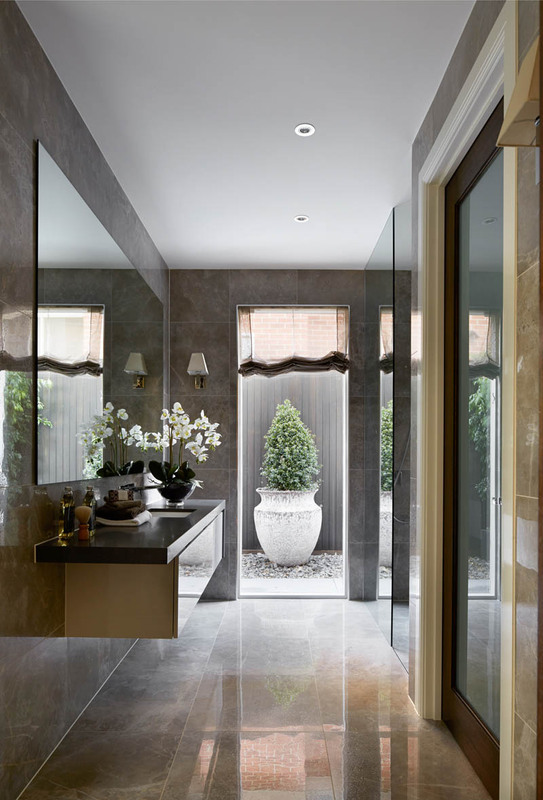 The standard Hudson is a two bathroom, two powder room design but in our version, we turned the ground floor powder room into a full bathroom by replacing the coat cupboard with a shower. 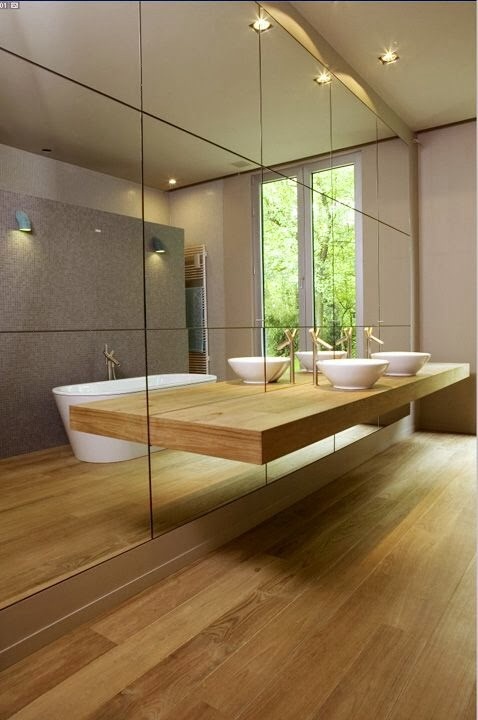 I’ve spent countless hours flicking through magazines and my Pinterest boards are now full of ideas for the bathrooms. The internet has been a great source of inspiration for this project! I love it! 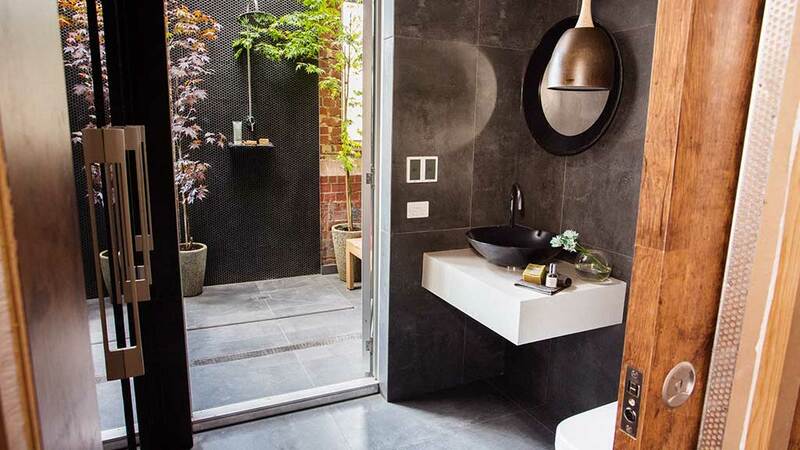 For the ground floor bathroom, my idea is to give it a ’boutique hotel’ feel by changing the sliding window into a picture window and putting in a floor to ceiling mirror and floating vanity. 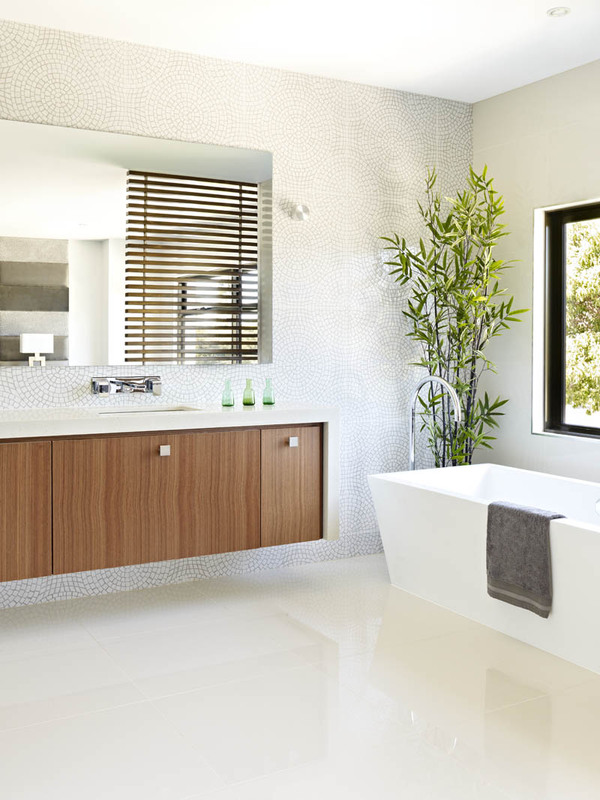 This is one of my favourite looks for a bathroom and think it will give it the wow factor! 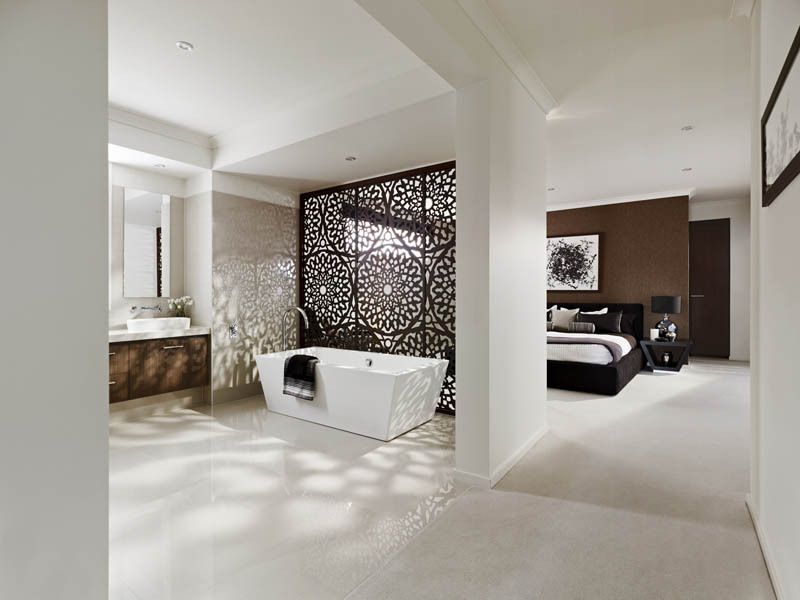 For the ensuite, we went for one of the standard customisation options of adding a freestanding bath and a feature screen in lieu of the stud wall (as per the Laguna display home at Homeworld). We also added a double rain shower and full wall tiling in the contract but really haven’t given much thought to the colour scheme. 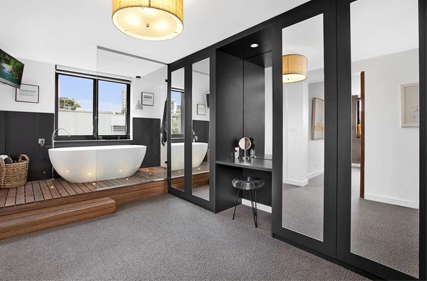 Budget permitting, I’d love to have a timber platform for the bath to sit on like Alyssa and Lysandra’s “blocktastic” ensuite. For the girls’ bathroom, we felt the standard window was on the small side so we increased the dimensions and changed the profile to awning. 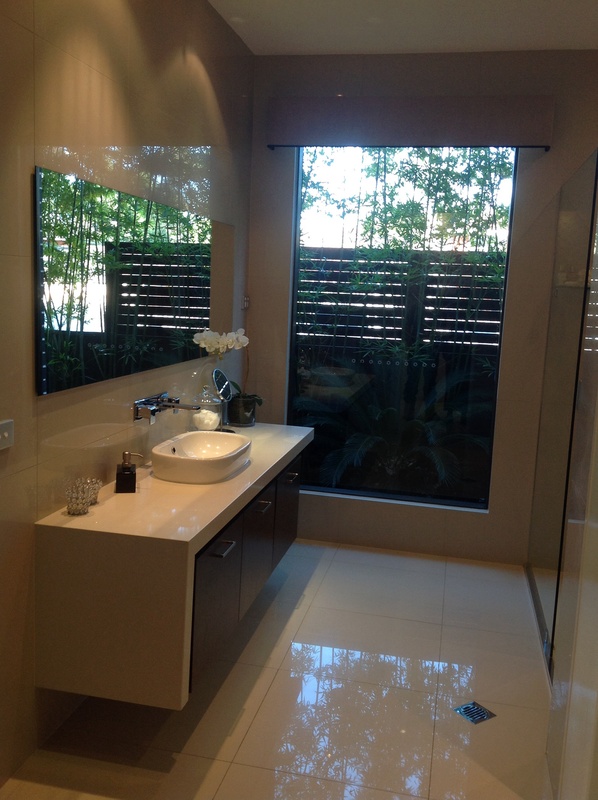 We also added full wall tiling, a shower niche and upgraded the vanity from laminate to Caesarstone. 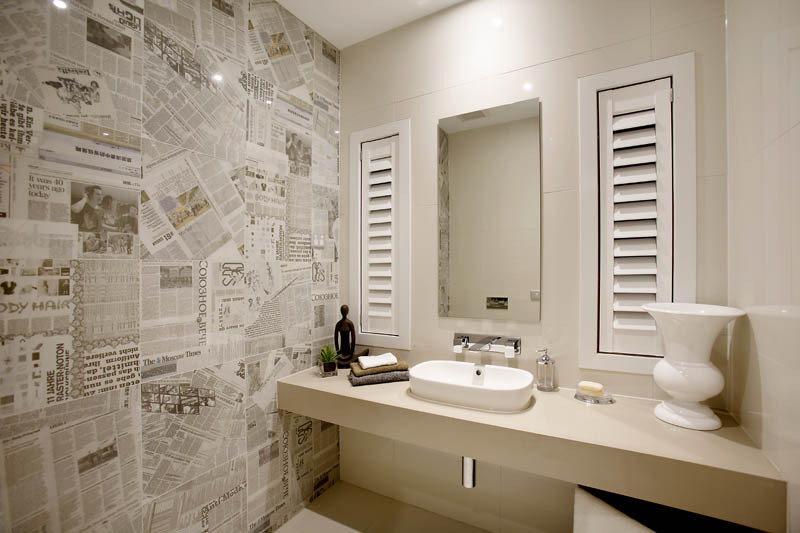 For the upstairs powder room, I’m toying with the idea of using wallpaper to give it a point of difference. Nick’s not convinced so the jury is out on that one. Wallpaper on one wall. What do you think?